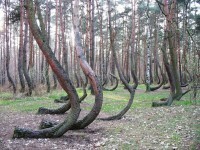 The first would be the Crooked Forest in Nowe Czarnowo that is in the West Pomerania of Poland. Nowe Czarnowo is basically a village within the Gryfino County. It is pretty close to the German border, south of Szczecin. For some reason, there exist a grove of very strangely shaped pine trees just outside this village area. It was believed that they were planted around 1930. 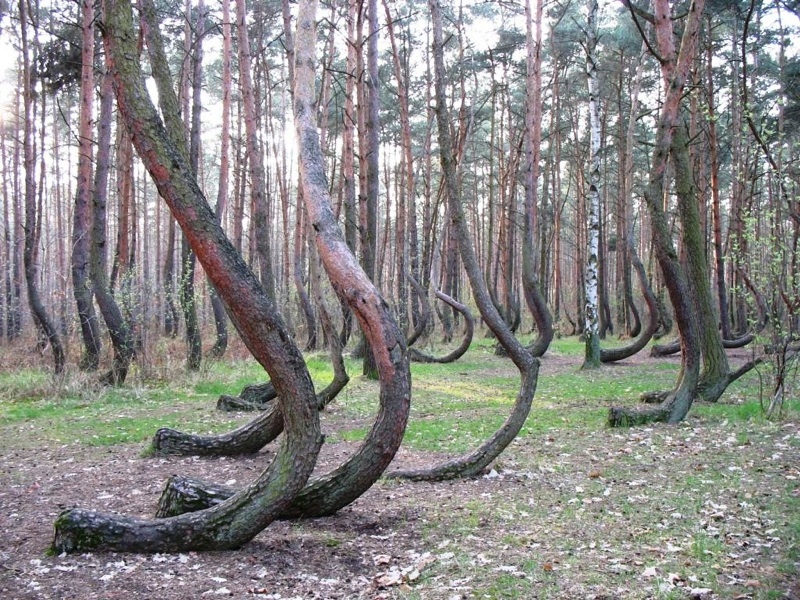 Some even think these four hundred pine trees were planted by some special technique to create the ninety degree horizontal bend in their trunks. Following that, they grow vertically rising up again. For almost eighty years by now, there is still no explanation to why they look like this. 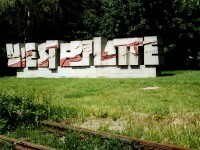 The other special sight is the 80.5 kilometers canal which runs from lake Druzno to the River Drweca and Lake Jeziorak. This is considered a special monument and thus also a UNESCO world culture inheritance. The uniqueness about this monument is that, technically, it has the most interesting navigational routes in Europe. This canal can handle 99.5 meters difference in water levels. It has a special system of locks, slipways, safety gates and dams. So five of the slipways can carry boats across dry land on rail mounted trolleys. In Summer time, you can see lots of pleasure boat cruises. A suggestion is to take to the Maldyty that is mainly a village in Ostroda County. Historically, these small figurines were used to commemorate the Orange Alternative movement. Orange Alternative was an underground protest movement led by Waldemar Fydrych (Major or Commander of the Festung Breslau). 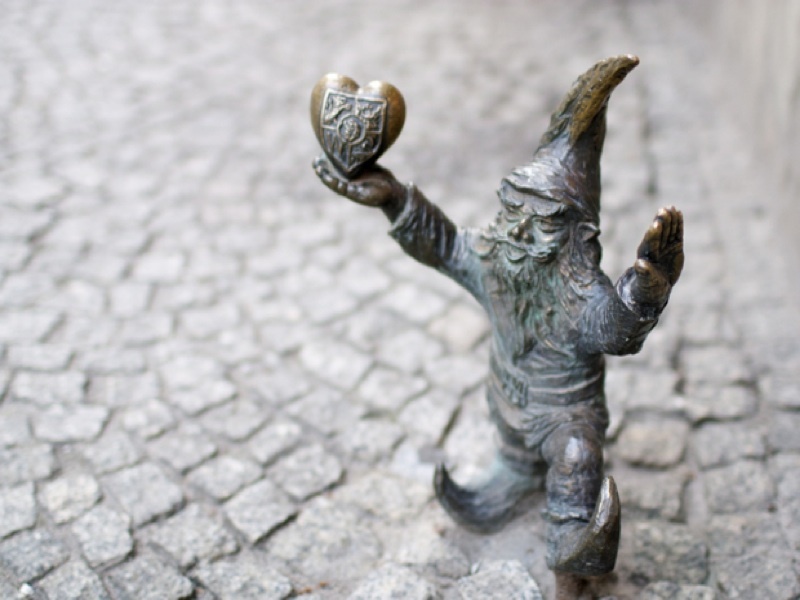 The dwarf was founded by Agora and then in 2003, the tradition was continued with a small plaque on the door of the Dwarfs’ Museum. Only at knee height of the human, you can find it between St. Elizabeth’s Church and the Market Square. 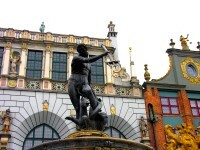 In the whole of the Wroclaw’s downtown, you can see them being the main tourist attractions. Spot the Forger, the Sleepyhead, the Prisoner, the Busker and Music lover, the Sisyphus or the Sniper. 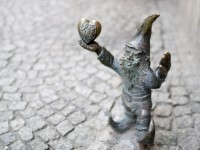 You can follow an activity dwarf hunting or dwarf spotting, from major landmarks or seeing them exercising their right of protest of social causes such as disabilities where you will see it on a wheelchair. Then by the riverside, you will see the ‘Washer’, at the Old Market Square, you will see the Withdrawer.